Create a wow factor in your wood panelled study or office with this geometric styled modern wall clock. The layers of numbers will keep your mesmerised as you check whether they are all there! 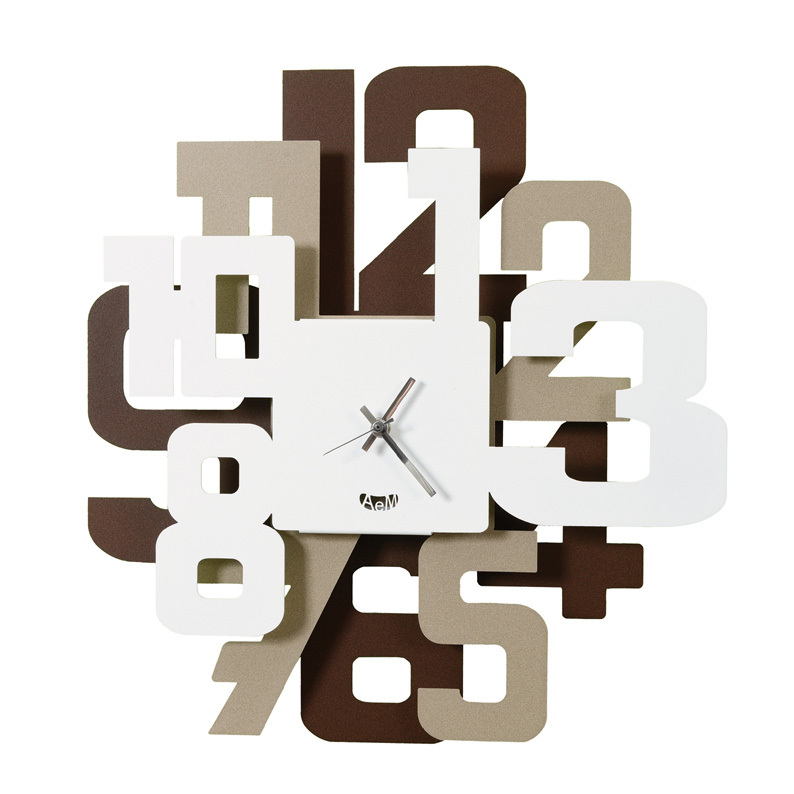 Earthy tones of chocolate brown, beige and white create a warm effect on the massive numbers surrounding the central blank square clock face. The time is indicated by a black hour, minute and second hand. 62cm high and 62cm wide.